Work for BIG-IP Secure Web Gateway? Learning about BIG-IP Secure Web Gateway? "Secure way of allowing uses to connect servers"
Security. The amazing thing about F5 (BigIP) is that we can add RSA tocken for each user connecting to the secure environment thus making it more reliable to customers by not worrying about the loop holes. Option to restricting the users clipboard accessibility makes this client more secure. Very helpful in data sensitivity related projects. Network firewalls and IP routing can be configured easliy. Troubleshoot team is always there to support in addressing the connectivity issues. System logs and troubleshooting tools are of great support. Nothing much to dislike this as this is a great tool to have. Big-IP is very easy to use and addresses all the business needs. Being a client for one of the reputed banks in US, and using the Big-IP for more than an year, I would recommend this tool for anyone who wants to secure their data but still want offshore team to connect, implement and deploy your solutions. All our development happens in machines that reside at clients place and allowing the offshore development team to access the virtual machines with security is a big thing and BigIP secure web gateway helps us to address this. I like the ease in which I'm able to connect to my network via the BIG-IP gateway; the login is user-friendly. I dislike that my password automatically appears and is encrypted because it's not actually my password. The login seems to carry over the token. My organization is using the BIG-IP Secure Web Gateway to solve workforce mobility problems and allow the benefit of geographical flexibility on our team. The tool is just simple to use. Just with one click it is able to connect to the corporate network with no problems. The simplicity comes with a drawback, sometimes debugging the problem is hard because of a lack of good logs or information. Connecting to a corporate network from any place in the world. It is very easy to use and has become part of my daily routine. Without it, I am not able to access required functions for my job. I think the icon is f5 but the name on the list of program is Big-IP Edge Client, which I sometimes forget and have difficulty finding it. 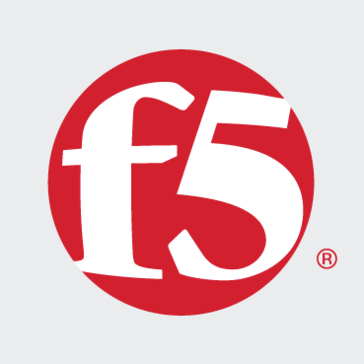 We work with secure information, and require all staff to log in to f5 every morning. Without it, they will not be able to access our records, files, and programs. It's simple and easy to use. Get's going quickly and can even "auto-connect" when you want to utilize that feature of getting connected as soon as its available. It's basic and gives you the info you need without anything that's extraneous. nothing. I like the tool and can't think of meaningful ways to make it better. This VPN tool allows users to remote in securely. "Big IP Security and Reliability "
What i like the best about Big IP is the reliability of their security through html. * We monitor all BIG-IP Secure Web Gateway reviews to prevent fraudulent reviews and keep review quality high. We do not post reviews by company employees or direct competitors. Validated reviews require the user to submit a screenshot of the product containing their user ID, in order to verify a user is an actual user of the product. Hi there! Are you looking to implement a solution like BIG-IP Secure Web Gateway?